For those into contemporary electronic music you may have heard of the Fax +49-69/450464 label (and many sublabels) out of Germany, run by Pete Namlook. In the mid-90s I remember while working at the record store getting in new disks WEEKLY, yes weekly, and we’d sell many copies to faithful fans and electronic music connoisseurs alike! The music is great and the label was strong! The music was mostly in the “Ambient” style but there were many great releases that were dancefloor oriented, trance and experimental. What drew me to the Fax label, aside from the great music, was Pete Namlook’s analog synth collection and also all the old-school artists that he introduced to the contemporary scene by doing collaboration releases such as Klaus Schulze’s Dark Side of the Moog series, etc. 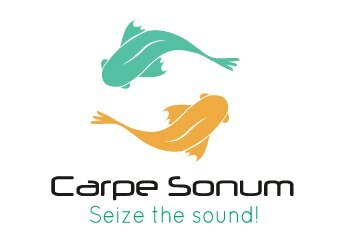 Unfortunately Pete Namlook passed away recently and his world distributor, Ear/Rational Music out of Colorado, decided to put together a tribute release on the new label Carpe Sonum inspired by and dedicated to Namlook. The tribute release will be a mega-box set including tracks from existing alumni of the Fax label and also with fan tracks. The vinyl set is going to be killer! The fan track’s inclusion on the 3 CDs is chosen completely by fan vote! Here are the rules of the Namlook Tribute. Here are the tracks to listen to and vote on. Hopefully we make the cut!!! Thanks for your vote!